Modern apple farming encompasses a lot more than growing and picking apples. From sales and marketing professionals to sustainability experts, entomologists, mechanics, electricians, data analysts and more, we have a lot of very diverse jobs at Rainier Fruit. 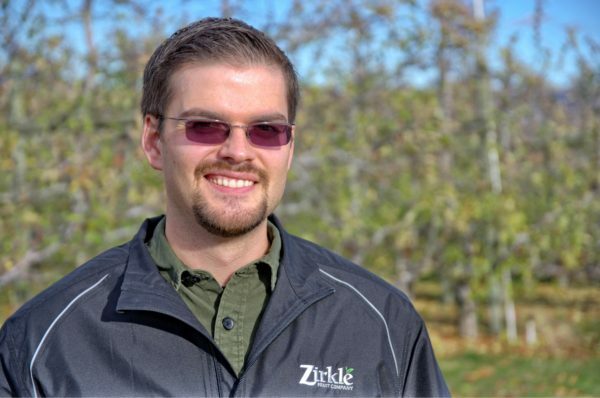 Here’s one job you might not expect in an apple orchard—in fact, many people may not have even heard of a GIS Specialist. What does GIS stand for? Well, it stands for Geographic Information Systems and it is essentially the process of computerized mapping. Maybe you received a drone for Christmas and get to fly it around your local parks and neighborhood, but Chris gets paid to do this at Rainier. 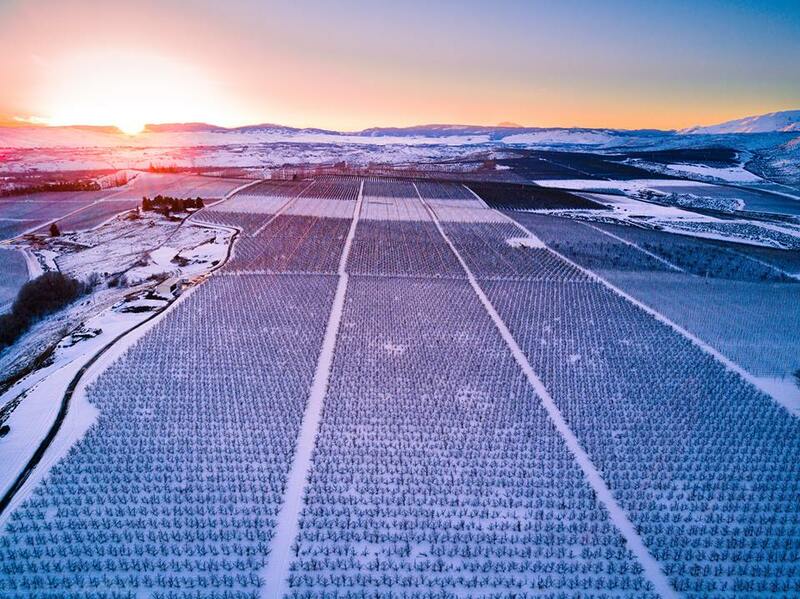 A big part of Chris’ job is to go to all of our orchards and use drones with GPS assist programs and mapping software to create a digital picture and map of each orchard. From there, he can take the data and pull it into the computer to create tabular and visual data that makes it easy to find and track every tree in every orchard. This new mapping system is so accurate that it can map with precision to within 5 inches. A few reasons…it saves us money, it’s more sustainable, and it supports our conservation efforts. First, mapping allows us to know exactly what is planted where, how it’s performing and what production tasks have been completed all from a screen tap on a mobile device or computer. This saves us countless trips into the orchards and puts information at the fingertips of many employees. This technology becomes especially useful when we integrate it with our in-orchard weather stations and other digital tools. Also, when we can map orchards and trees with this level of precision, we use that information in our production applications like watering and fertilizing, for example, allowing complete accuracy and avoiding over-application, which assists in conservation of resources and is healthier for the environment. It’s not always easy to figure out how our hobbies, interests and education might intersect in jobs or opportunities, but it’s important to overlay all of them when possible. Chris went to school for geography and also studied meteorology and geology. When he took some classes on digital cartography, he realized how much he enjoyed it. But his love of maps started much earlier. Growing up, his family took a lot of road trips where he was in charge of the atlas. This helped Chris become geographically aware and ingrained in him a fascination with maps. During school, his work and internships included stints at a Botanical Garden and State Parks. Then he met a Rainier Fruit employee and got an internship that led to a full-time position where he is able to use his education, skills and interests. The best part? Chris gets to work outdoors and focus on conservation related work. We’re happy that we continue to attract employees that share our Wholesome to the Core values and that we can help them build careers that feed their soul.